We all know that bow ties and suspenders go together like peanut butter and jelly, right? 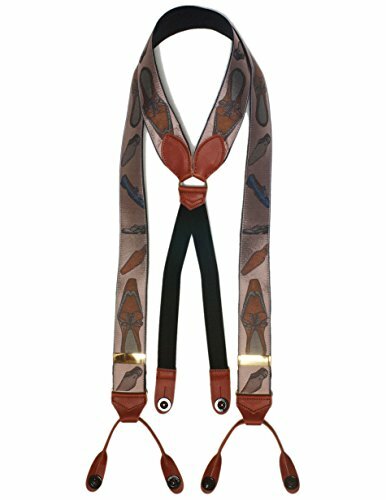 Well this page was created to help bow tie guys understand the suspenders and braces options that they have out there. We want you to make an informed buying decision, so we’ve done the hard work of investigating the suspenders and braces brands out there for you. 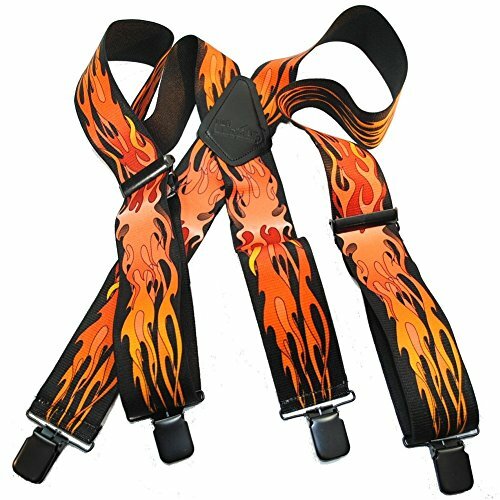 Consider this the best shortlist on the internet for suspenders and braces. Want premium bow ties sent to you for free each month for just $13 bucks? For a limited time, get our bow tie subscription and enjoy high-quality bow ties delivered free to to you each month for just $13/month. Stop making needless trips to the mall and subscribe today! 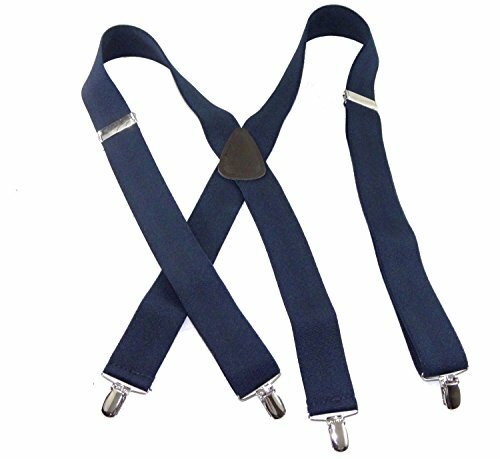 This list was created through research of the suspenders and braces that exist in the market today and how well they are received by their customers. I research the brand, the ownership track record, third party reviews, customer reviews and many other bits and pieces of information before deciding which brands made the cut. Further, this list will be an ongoing list, and will change as new brands come into existence and old brands fade away. 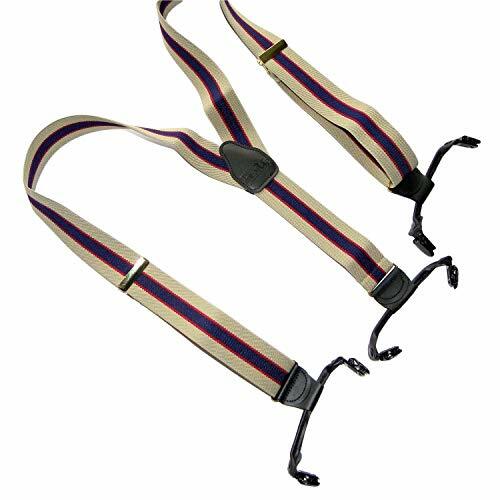 If you know of brands that make high quality suspenders or braces, please email support@bethebowtieguy.com. We’ll review and consider them carefully (we take our accessories seriously here). I’ll also add, if there’s a brand below that you feel doesn’t deserve to be on this list, please also email us, and we’ll consider your feedback. 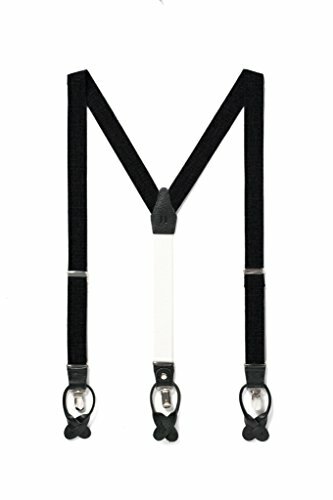 Brand: Hold Up Suspender Co. Brand Notes: This brand appears to be the one dominating the suspender market, at least when it comes to entry level products. They have 300+ styles, and are currently in about 2,100 stores across the United States. They’ve also been endorsed by Larry King. Their claim to fame is that they patented a special suspender clip called the “no-slip-clip”, which has a very small needle that pierces your clothes to fasten. This ensures that your suspenders won’t come undone. Recommendation: Although their website looks decades old, their products are the best bang for your buck, receiving positive reviews across the board. It appears however, they only sell their no-slip-clip version of suspenders and nothing else. 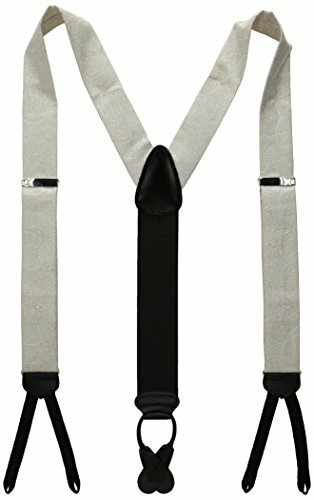 If you’re in the market for entry level suspenders, these guys might be the way to go. 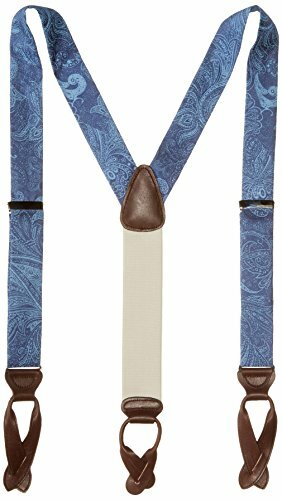 Style: More modern, GQ style suspenders and braces. Brand Notes: Started in 2014, the founders wanted to create a more edgy brand of suspenders and braces, thus the brand was born. Within their product line, you’ll find some thinner styles for a more GQ look. Recommendation: These guys are the real deal when it comes to style. They also get positive reviews across the board. 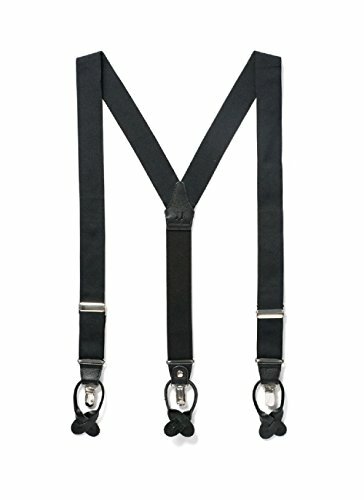 If you’re a younger guy (18-35) and you’re looking for more affordable yet fashionable suspenders, this might be the brand to try out. Brand Notes: Trafalgar is definitely one of the top suspenders and braces brands on the market. They’ve been around for more than 40 years and battle with other premium brands for the top spot. Recommendation: This brand makes a quality product, using 100% silk as well as full grain leather. If you can afford the step up from JJ Suspenders, these guys might be your braces brand of choice. 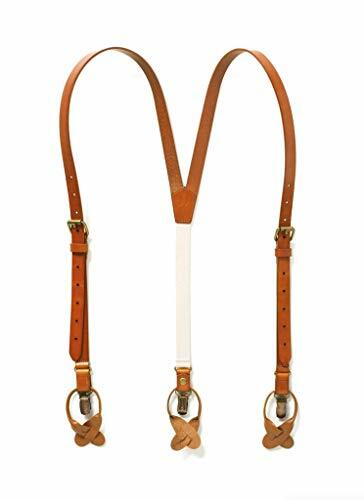 Brand Notes: For those of you who’ve never heard of Albert Thurston, he invented suspenders back in 1820. During his time, his name became synonymous with high-quality braces and suspenders. Recommendation: This is your top of the line braces and suspenders brand. If you can afford these bad boys, by all means, go for it. There’s a reason they’ve been around for over 100+ years. The below items can also help you rock your suspenders with a little more flare. 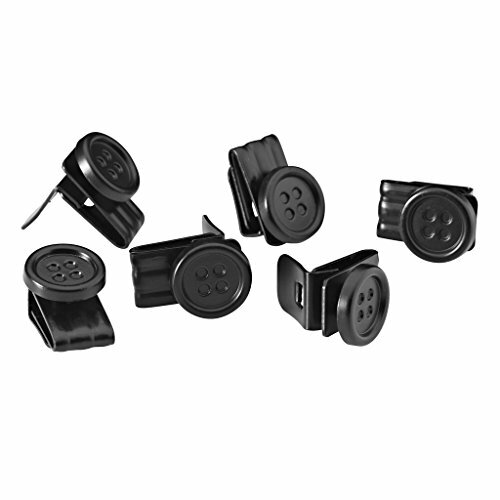 I had to include these little guys as an additional resource for anyone who might want to get into suspenders but don’t want to bother with sewing buttons into their pants. Click here to snag a pair. 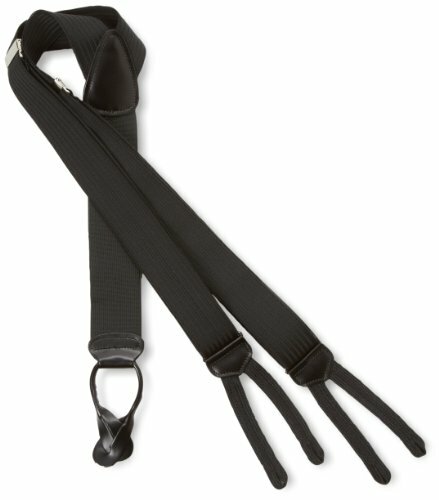 Well there you have it, a couple of the best suspender and braces brands out there. I hope this article has helped you on your bow tie guy journey. If you have any questions, comments, thoughts to add, feel free to leave a comment down below!